At this moment, there is thousands of people are using their iPod enjoy their time in the whole world. With the time pssing by, other thousands of people are going to have their own iPod and joining into the iPod group. However, a problem that most of the iPod users don’t know how to put their own DVD movies to their iPod both Windows and Mac users and this problem annoys most of iPod users. 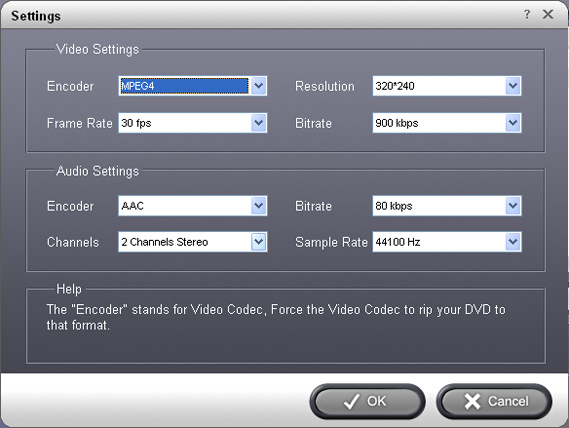 Then you can adjust your output video’s settings by clicking “Settings” button. After doing the 2 steps you can click “Start” button to begin the conversion. b. You can click the “Trim From” button when you want to start the trim during your preview and click “Trim To” button when you want to end. a. Select one crop mode from the “Crop Mode” drop-list. b.	Dragging crop frame to choose your own crop. c.	Set your own crop value. 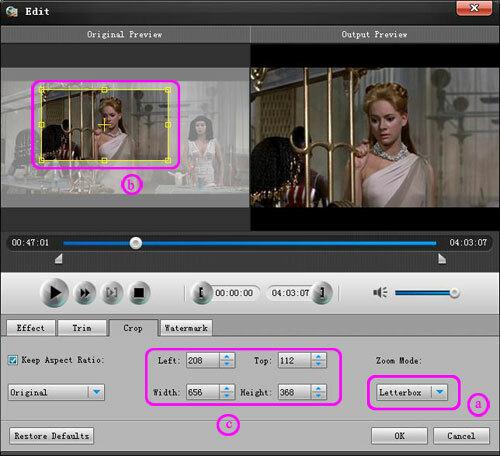 Drag the adjustment bar to find your favorite effect of Brightness, Contrast, Saturation and Volume. 5. Merge into one file. For Mac users there are not many nice DVD to iPod converter to use but Aiseesoft DVD to iPod Converter for Macis really nice. Its conversion quality and speed are much better than other Mac DVD to iPod converter on the market and its video editing functions is its another charm. 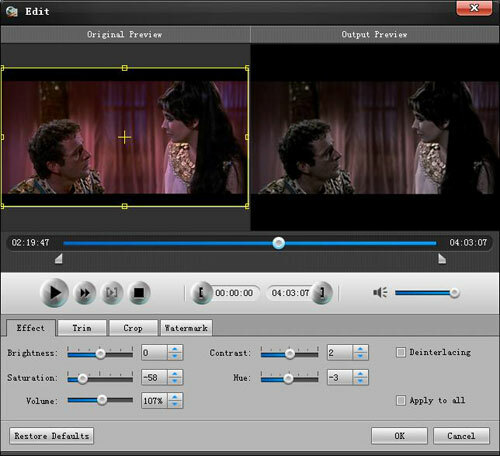 With it you can smoothly customize your own video effect by doing trim, crop, and adjust the effect of your output video. 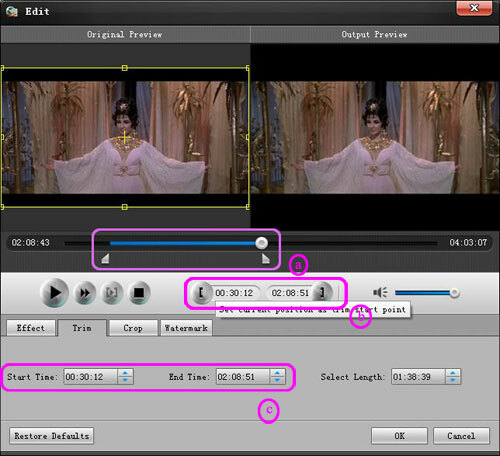 And you can also preview the effect of your output video and choose subtitle and audio track and you can also merge titles and chapters into one output file. 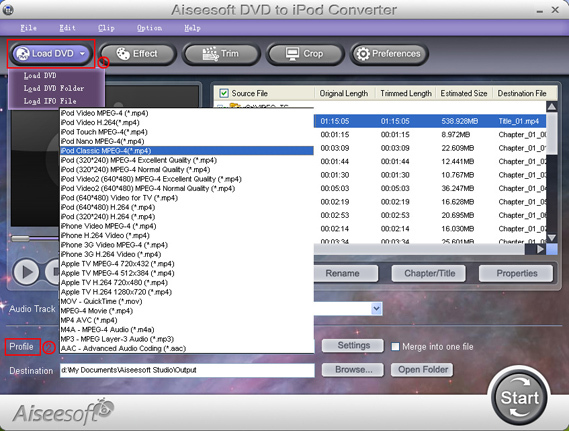 And for Aiseesoft DVD to iPod Converter for Mac, the process of doing Trim, Crop and adjusting Effec and other functions is the same as in windows. 2016 F80 ///M3 [YMB / Black Full Merino / Carbon Fiber Trim / DCT / Everything] I picked DCT because I want to be more involved in my un-involvement. Agreed. Handbrake works fine for me. kind interesting,,,may be can help me watch dvd movies on ipad air 2..
You felt the need to bump this 6.5 year old thread that is posted in the wrong section. Why?